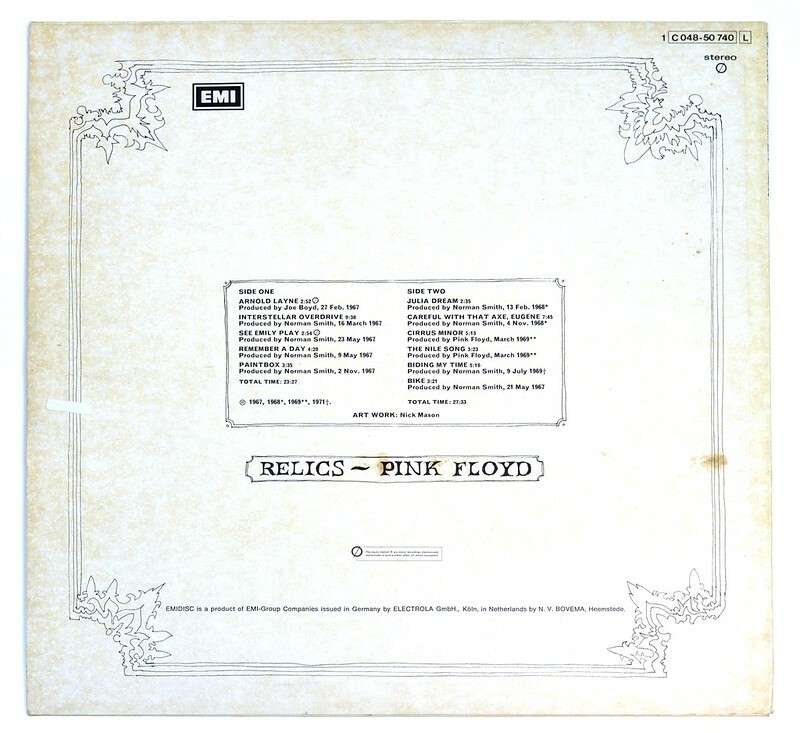 Relics is a compilation album by Pink Floyd released in 1971 and desirable because several of the songs have been written by Syd Barrett. 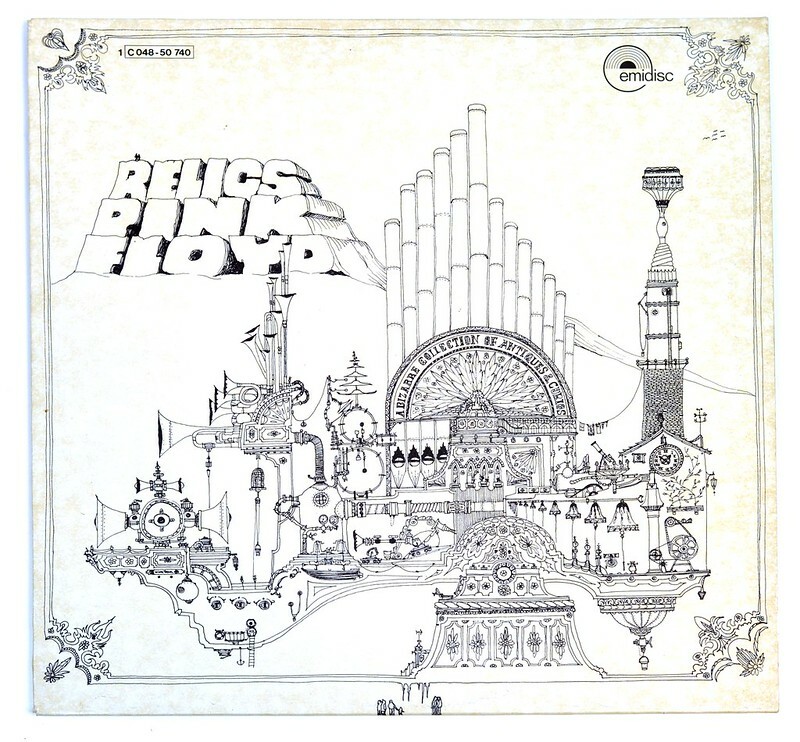 The album's title "Relics" and the band-name "Pink Floyd" are printed in the upper left of the album cover. 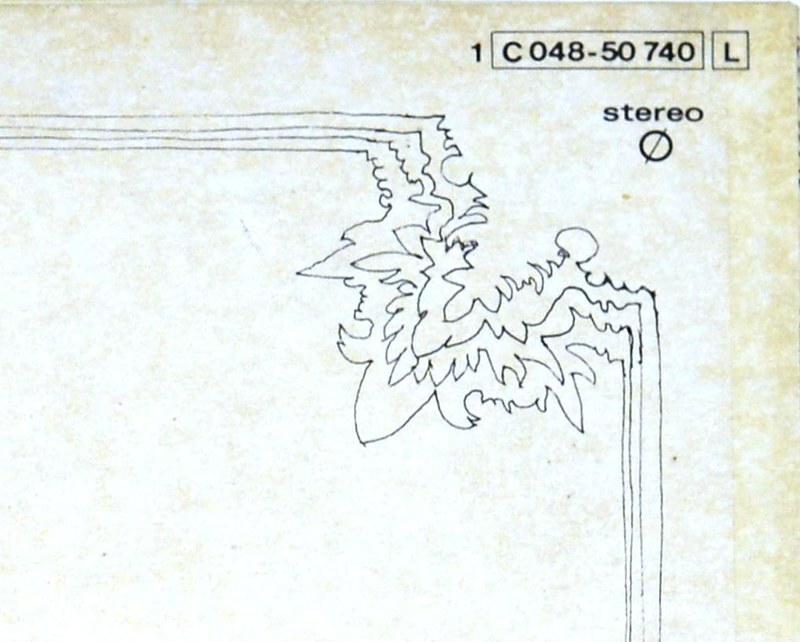 The catalognr "1 C 048-50 740" is printed in the top left corner of the front cover. 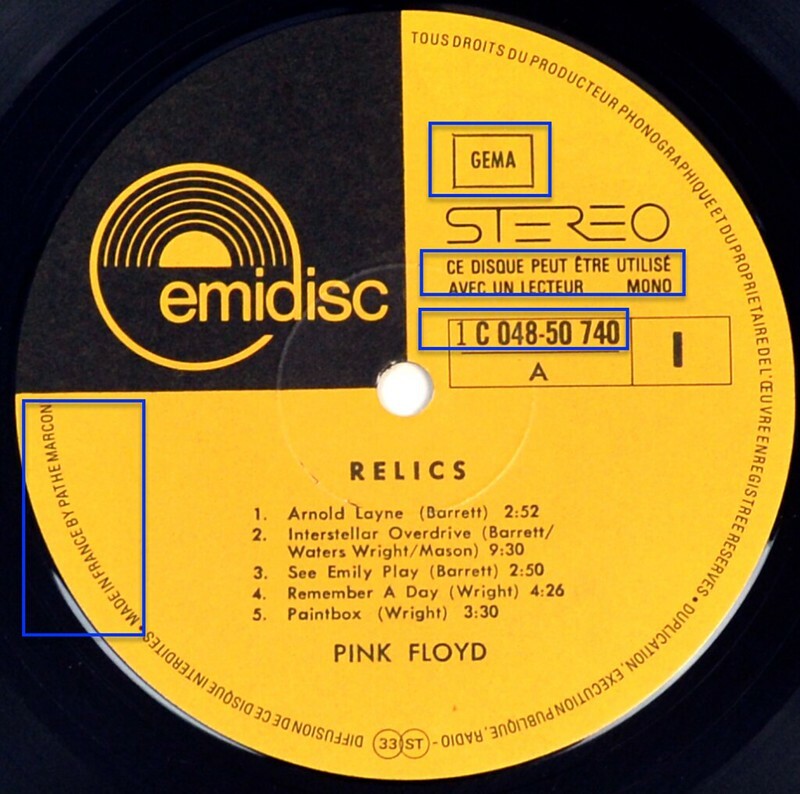 The EMIDISC logo is printed in the top right corner of the album's front cover. 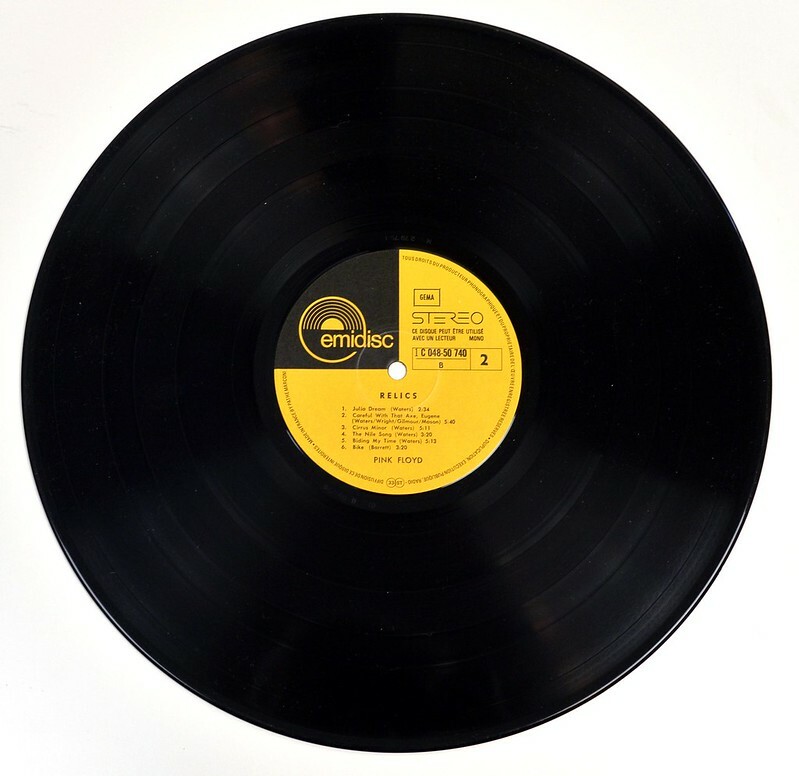 "EMIDISC is a product of EMI-Group Companies issued in Germany by ELECTROLA GMBH., Köln, in Netherlands by N.V. Bovema, Heemstede." 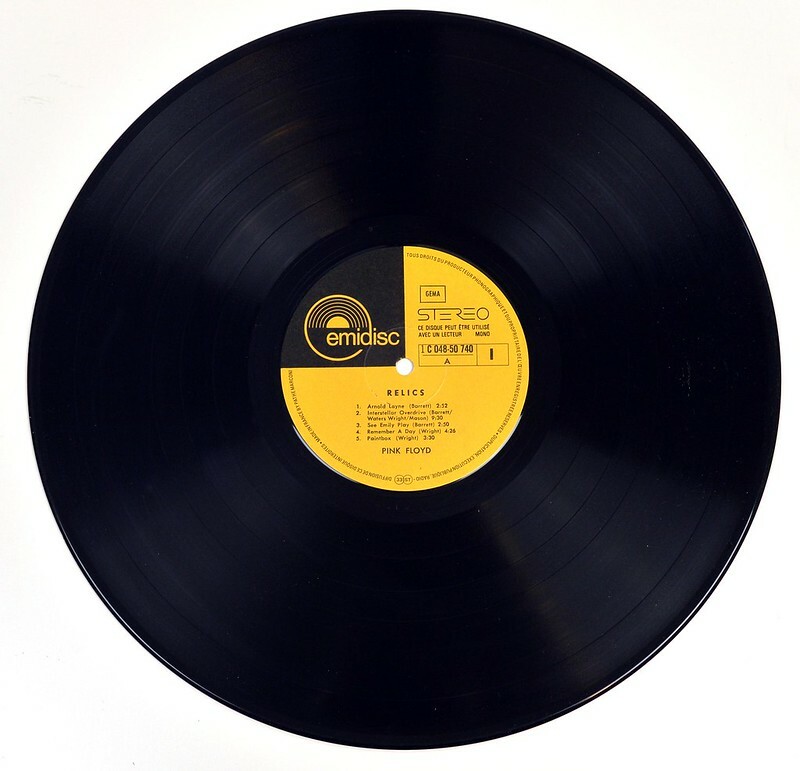 There is NO label code on the record's label. The rim-text runs from 12 o'clock to 9 o'clock and is printed in the French language. The last words on the rim-text are: "MADE IN FRANCE BY PATHE MARCONI".